Never never underestimate the importance of lighting design in your home. It can make or break the overall look of the room or house. 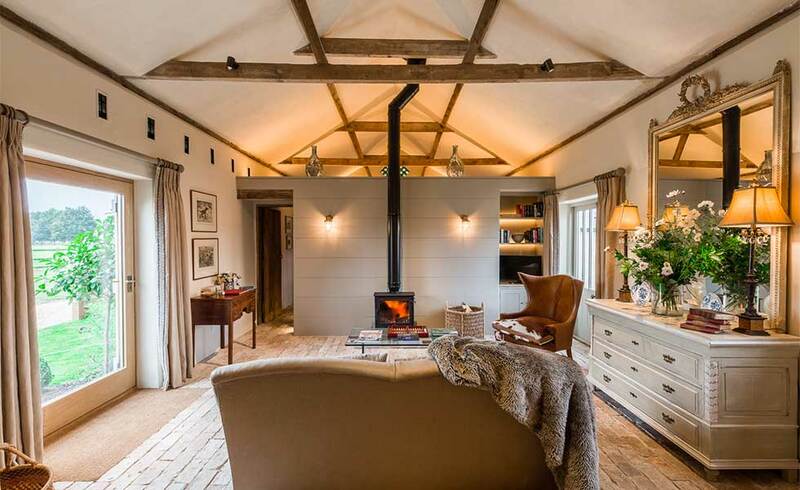 All too often the lighting design scheme of a house is left as an afterthought, at a stage in the project when it is often too late to incorporate certain fixtures and fittings without a great deal of disruption and extra expense. They key to getting the perfect lighting scheme for your new home is to plan early and to talk through your requirements with your architect and electrician. Who will design my lighting scheme? A lighting plan is something you can come up with yourself, having assessed the uses, size and natural light levels in each room. Alternatively, an interior designer, your architect, electrician or a specialist lighting company can come up with one for you. A good lighting plan allows you to begin to shop around for the types of fitting you need early on, but it is also a vital reference for your electrician, who will need to know the location and type of fittings and switches. As a guide, you should ideally begin planning and making provision for your lighting scheme at the same time as you are planning the plumbing. What will this space be used for? Consider all possible uses of each room. Will the kitchen double up as a dining or homework space? Will a spare room also be a study? Will there be pieces of furniture, architectural features such as fireplaces or artwork that you want to highlight in any of these rooms? This will determine your accent lighting. Who will be using this room? It is interesting to note that someone of 60+ years generally needs 15 times more light than a ten-year-old. At what time of day will the room be used the most? For example, if you only use rooms in the evening for relaxing, then setting lights on a dimmers is a good idea. Where does natural light enter the room and from what direction? Once you have the answers to these questions, draw a plan of the room to help you determine the best points for lights to be situated. On your plan you should mark down permanent fixtures, such as windows and doors, alcoves, fireplaces and other heat sources, such radiators. Next, mark the direction in which occupants of the rooms are likely to spend most time facing, for example the television, a desk or the cooker. Mark where light switches will be most conveniently placed, concentrating around doorways and at the top and bottom of stairs. Finally, have a think about where you plan to site major items of furniture, such as beds and sofas. Use your findings from your ‘walk around’ to mark where you would like each light source, be that a pendant, side lamp or downlighter, to be located. Consider the amount and type of light that will emitted from each fitting. Bigger rooms obviously need more light that tiny ones, but to easily calculate the amount of light needed for a particular room, work out the size of the space in square metres. Allow roughly 25 watts per meter(250 lumens). This light need not come from a single source, it can come from a combination of different lights. Before you begin to devise a lighting scheme, consider the amount and type of natural light entering the various spaces you are working on. The role that natural light can play in the overall feel and ambience of your home should not be overlooked when creating a lighting scheme — it should in fact be a starting point. Self-builders should consider the orientation of their rooms when looking at layouts. Main living areas and kitchens should, where possible, be south facing, as south facing light is warm and bright all day long. West-facing light tends to provide sunlight at the hottest part of the day, so locating rooms where you spend time during the late afternoon/early evening here means they will get a softer light at this time. North-facing rooms often get a cold, rather harsh light, whilst those facing east will be bright first thing in the morning, followed by periods of almost no sun later in the day. Installing low-energy light sources in new build homes is now a must and building regulations state that 75 per cent of the lights in a new home must be ‘energy efficient’. This means that light fittings must produce a total of at least 400 lumens, have a minimum efficacy of 45 lumens per watt and be over 5 circuit watts. Fittings under 5 watts are excluded from the overall count, so too is any exterior lighting. Fluorescent and compact fluorescent lamps (CFLs), LEDs or discharge lamps would conform to this, whilst fitting low-energy bulbs with bayonet or screw-cap bases do not. 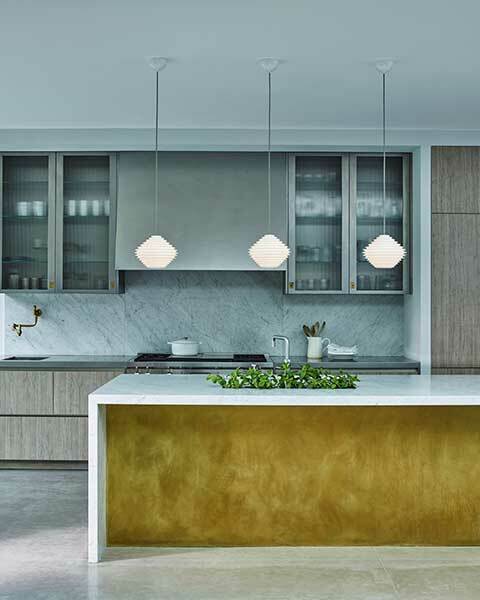 Kitchen Lighting: Kitchens are no longer just practical spaces — they are also the spot for many social gatherings and family activities, and as such thought needs to be given to the different types of light that will be needed at different times of day. Once you have a kitchen plan, showing where tables, worktops, the hob etc. will be placed, you can start to formulate a lighting plan. You will need background lighting (also known as ambient or general lighting) in order to light the whole space properly. Good options in kitchens include recessed downlighters, pendants and spotlights. Position the lights so that they give a broad spread of light, ensuring the work surfaces will be well lit and that the light directed at them will not be blocked out by anyone standing working at them. Task lighting in the kitchen should be directed down at the hob — this is often achieved through an extract fanincorporating lights. Under unit lighting is a great idea too — really highlighting the worktops. Finally, feature lighting, such as LED strip lights beneath base units or within open shelving is a great way to create atmosphere when the main lights are switched off. Living Room Lighting: This is where a really flexible design is required, to fit in with the multiple ways in which this room is used — socialising, relaxing and entertaining. Although it was once common for background lighting in a living room to be provided by a central pendant, this is no longer always the case. 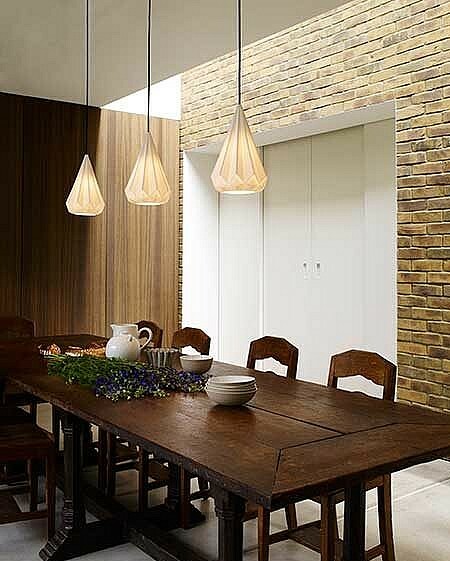 More and more people are choosing to provide background lighting through a combination of downlights and table or floor lamps, which tend to provide a much cosier feel, although for others, the room will not feel complete without a central focus, such as a daring chandelier, even if it is rarely used for anything other than decoration. In terms of accent lighting, consider uplights beneath fireplaces, downlights in alcoves, picture lights and then use concealed lighting behind cabinets. Finally, if you plan on reading in the living room, don’t forget a few sources of task lighting. Bedroom Lighting: The main requirements of the bedroom are that it can be bright in the morning and restful at night. In addition to a soft background light, best achieved by table and floor lamps, the bedroom can really benefit from accent lighting that draws attention to a stylish headboard, or wall washers that soften the boundaries of the room. It is useful to have switches to control the lighting not only at the entrance to the room, but also either side of the bed. Some practical task lighting can also be really useful, such as low-level recessed floor washers near the doorway or at the entrance to an en suite. This is a particularly good idea in children’s rooms or along landings. Bathroom Lighting: With so many reflective surfaces, bathrooms respond well to lighting. You will need to pay some attention to the various zones when it comes to bathroom lighting and to the IP rating of fittings. Zone 0 is the area inside the bath or shower, for example. The IP rating denotes a fitting’s resistance to water and what is needed will depend on which zone the light is to be fitted in. Recessed downlights work well in bathrooms as background lighting. Task lighting, above mirrors for example, can be provided through an illuminated mirror or by lights than run the width of the mirror, or that sit either side of it. Avoid one single downlight above the mirror, as this will be really unflattering. In his book, Happy by Design (RIBA Publishing), author Ben Channon says,”There are happiness and wellbeing benefits to be gained from good use of artificial lighting. Danish lighting designer Poul Henningsen devoted much of his career to designing glare-free and uniform illumination, which has been shown to reduce headaches and improve productivity. Studies suggest that emotions are experienced more intensely under bright, harsh lighting, which can have a negative impact on our moods. Artificial lighting temperatures range from warm ‘soft whites’ (2700-3000K) to ‘bright or cool whites’ (3500-4100K) and finally ‘daylight’ (5000-6500K). Each temperature range creates a different effect and can impact our mood. Soft whites create a warm, cosy feeling. These work well in bedrooms and living rooms as they are calming and can help to us to relax, which is key to our mental wellbeing. 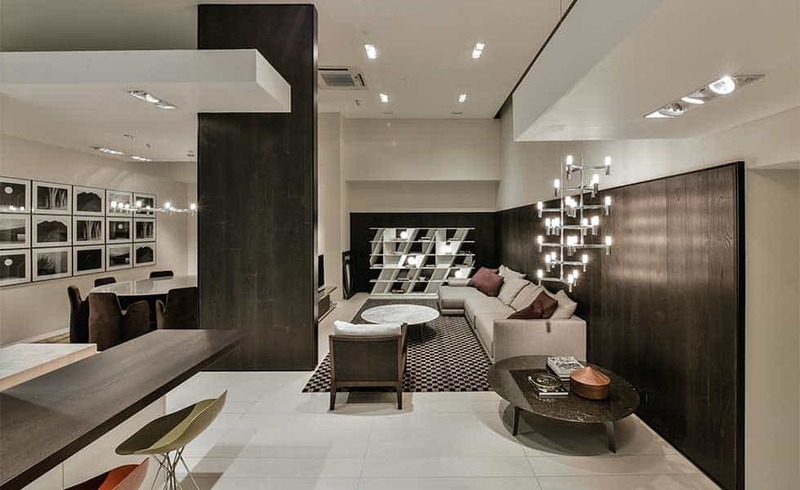 According to Sian Parsons, Senior Lighting Designer at John Cullen Lighting, “Low ceilings can make a space feel smaller and darker, so using lighting to help increase the feeling of height is essential. “Uplighting to wash light off the ceiling and back down into the space is very effective. It can be difficult to position wall lights in low rooms, so do consider using floor recessed or plug-in uplights or open shaded lamps to help. At SDA Build London, we work closely with interior designers and architects to understand the lighting needs of the property and implement their ideas. It’s part of a building project and from experience we know how important lighting is to enhance the look, feel and mood of a home. Do give us a call on 0208 191 7595 or email us at enquiries@sdabuildlondon.co.uk if you’d like to have a chat.